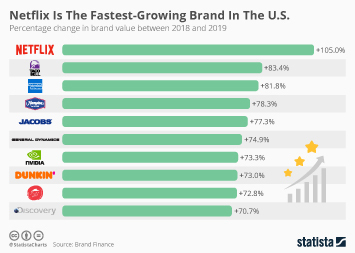 Netflix Surpasses Major Cable Providers in the U.S.
Having doubled its U.S. subscriber base in the past five years, Netflix passed a major milestone in the first quarter of 2017. 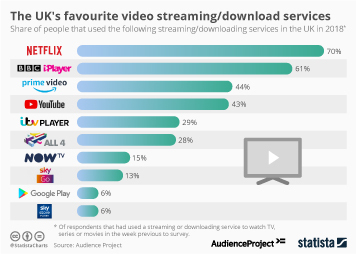 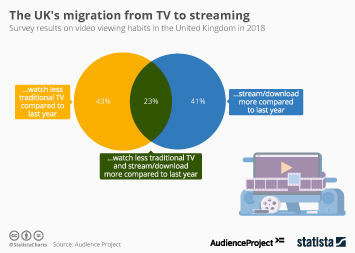 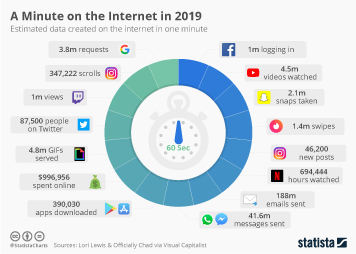 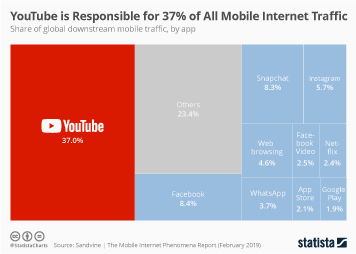 For the first time, the popular video streaming platform has more subscribers than the largest cable pay-TV providers in the country. 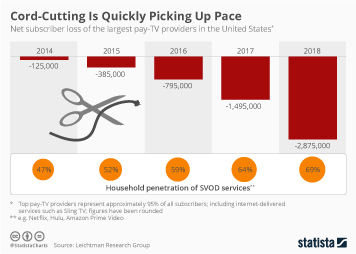 According to Leichtman Research Group, the country’s largest cable TV providers, representing around 95% of the cable market, had 48.6 million subscribers at the end of March, while Netflix had 50.9 million customers on its home turf. 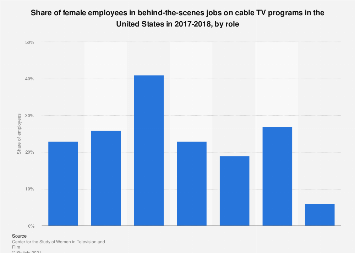 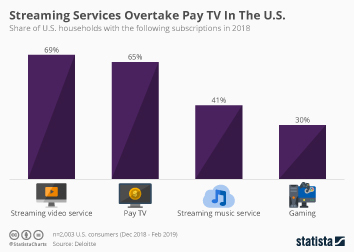 While cable only represents around 50 percent of the U.S. pay-TV market as a whole, it is by far the most popular way of getting pay-TV in the country. 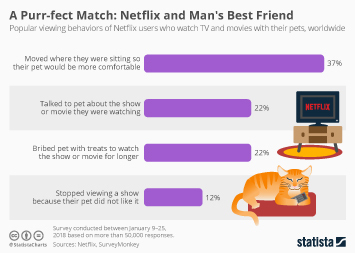 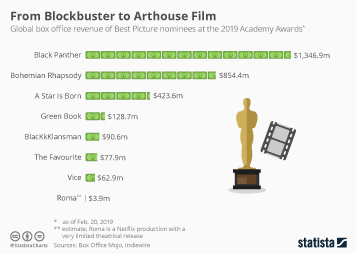 For Netflix to surpass cable is a big step in becoming the number one source of home entertainment. 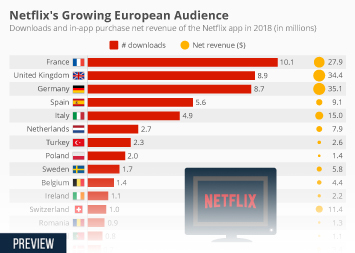 Interestingly, Netflix reached that goal mainly by growing its own subscriber base rather than by having people “cut the cord”. 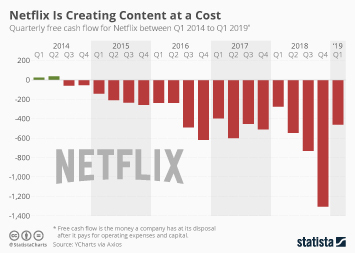 Major cable providers only lost 4 million subscribers since Q1 2012 – Netflix added 27 million. 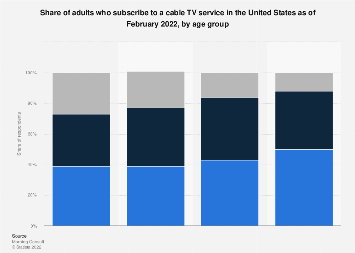 This chart shows Netflix and cable pay-TV subscribers in the United States.